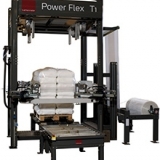 Tallpack International supplies three types of stretch hood machines for a range of applications. The Power Flex T1, the Multi Flex X1 and the Multi Flex XL. 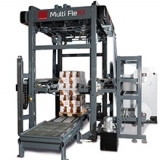 All three have specific properties for extra capacity and flexible pallet formats. The advisers at Tallpack International will be pleased to discuss your packaging needs with you, and highlight the solutions Tallpack International can offer you. The various types of stretch hoods can be found on the stretch hoods page. 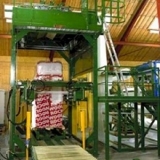 If capacity is low, Tallpack International is able to offer a variety of film wrappers. You can view this option on the Modular wrappers page or request more information from one of our advisers.